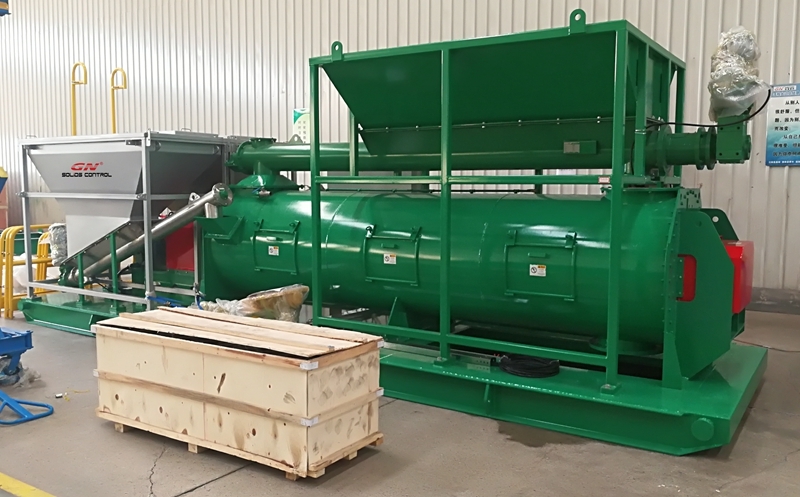 This week GN Start the production of cuttings solidification unit for CNPC, Last week we shipped the vertical cuttings dryer and decanter centrifuge to CNPC for their drilling waste management project. The cuttings solidification unit is also an equipment to treat the final drilling cuttings when you do not need to reused the drilling mud. 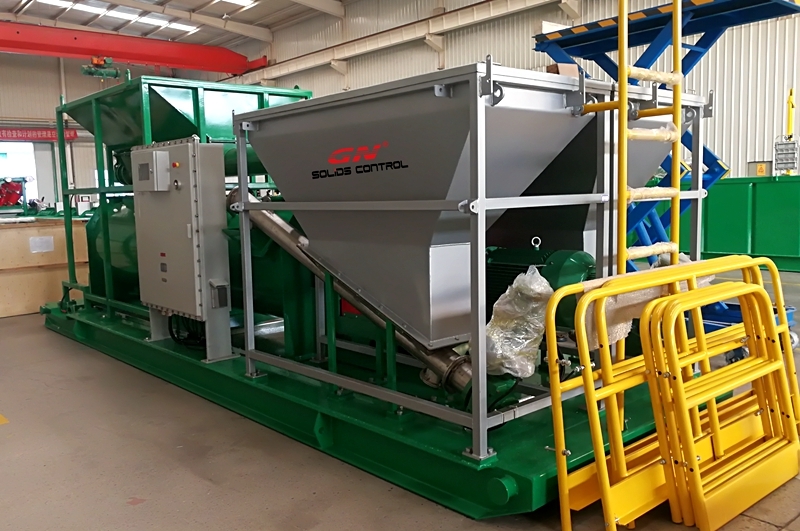 1 Cuttings collection: The cuttings collection system including a hopper with a screw conveyor, The drilling cuttings from solids control system and drilling waste management system will be collected by the hopper and transferred by the screw conveyor to the mixing vessel. 2 Chemical storage：One of them are used to storage the curing agent, one is used to storage the desiccant, the screw conveyor equipped on the tank will transfer the chemicals to the mixing vessel automatically. 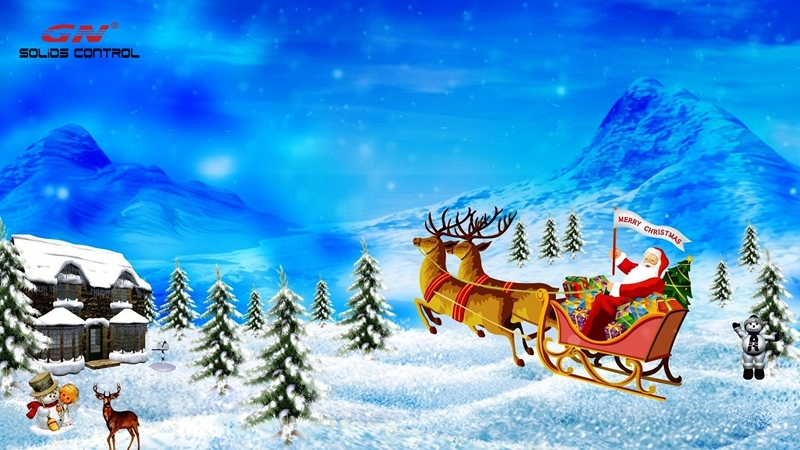 To get gift from GN solids control, Merry Christmas and Happy New Year! 2) Fill in the customer feedback form with signature and your company stamp, and send us scan copy. 3) Our sales team will arrange to express the gift to your address and support you for customs clearance. 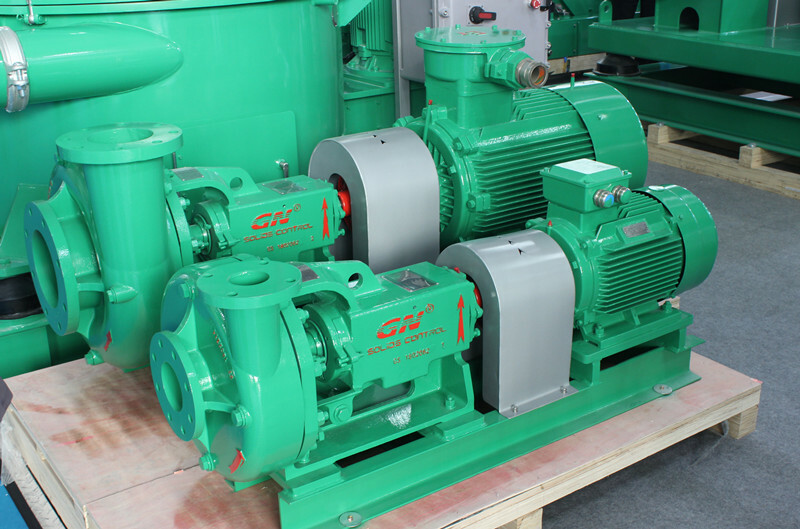 Sludge vacuum pump: it can be used to transfer drilling cuttings or oil sludge, it can be replaced one unit of screw conveyor, it still need another set screw pump to be installed slantly to feed to the vertical cuttings dryer or you can buy a unique designed collection hopper to connect with the vertical cuttings dryer. Oil sludge separation system to be installed in the refinery, to get pure oil, water and dischargable solids. Composite material shaker screens for GN OEM shale shaker, replacement shaker screens for Derrick, Swaco Mongoose, Brandt Cobra, FSI, etc. Centrifugal degasser instead of vacuum degasser, which is used to separate harmful gas from the cut in mud. Your feedback is very important for GN solids control, we will keep improving our products quality, service and design, so we will look forward your customers feedback form signed. Hope in the future we could provide better service and solution for your projects, we aspect long term cooperation relationship with all the clients. 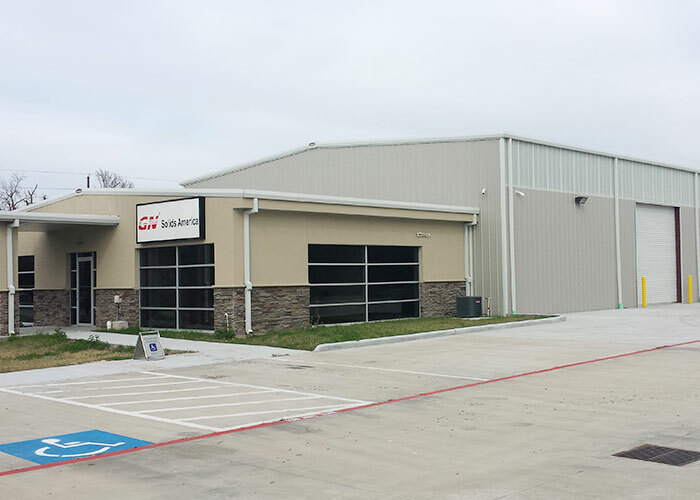 1) Replacement shaker screens for Swaco Mongoose, Brandt King Cobra, Venom, FSI, Derrick FLC500, Derrick FLC 2000, OEM shaker screens for GNZS594E shale shaker and mud cleaner. All the screens in stock are composite material frame shaker screens, GN brand shaker screens have passed APIRP13C lab testing and it is produced as per API RP13C standard. 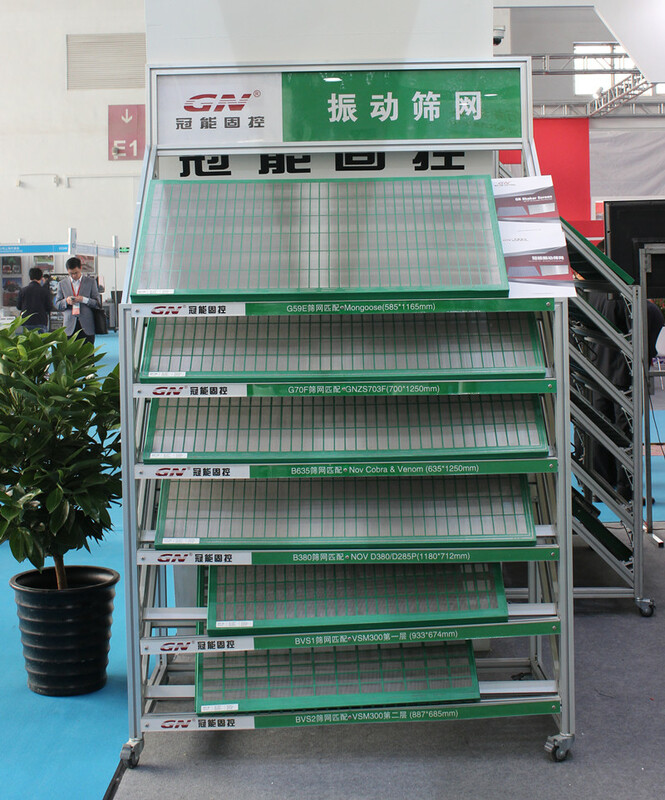 With features as below, GN shaker screens sold very well in South America and USA. 2) Hydrocyclones of 10 inch and 4 inch, they are the spare parts for GNZS594 mud cleaner, the 4 inch desilter cone is interchangeable with Derrick mud cleaner and desilter. GNZJ594E-2S12N mud cleaner with 2 vibration motor of US Martin brand, each with 2.5HP, the G force up to 7.5G and it is adjustable. 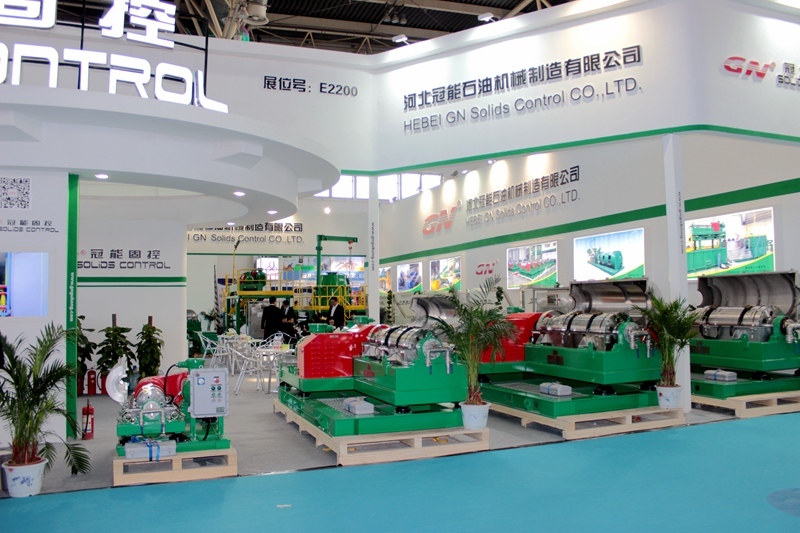 GNLW363CG and GNLW363CG-VFD decanter centrifuge, with 30m3/h treating capacity for drilling fluids, it can be used for drilling waste management, solids control drilling fluids treatment, waste water treatment, solids separation, etc. Vertical cuttings dryer GNCD930D, which is specially used for oil based waste treatment, working with screw conveyor, screw pump and decanter centrifuge. And Jet mud mixer, mud gun, mud agitator, etc. 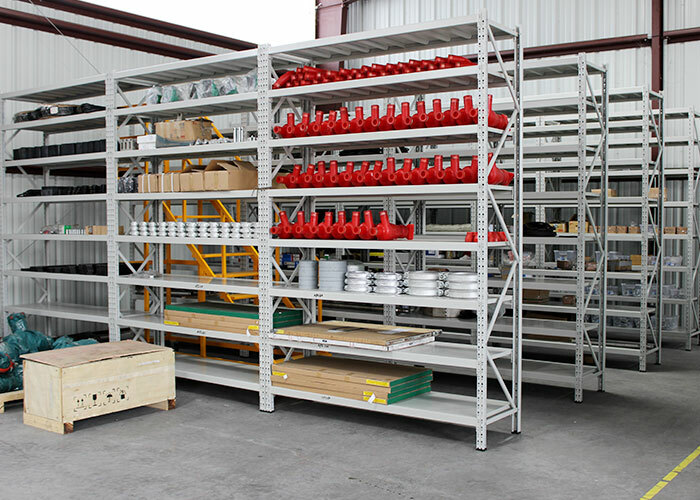 If you have requirement for our equipments and shaker screens urgently, pls contact with GN SOLIDS AMERICA, also welcome to visit our factory in Beijing, China. 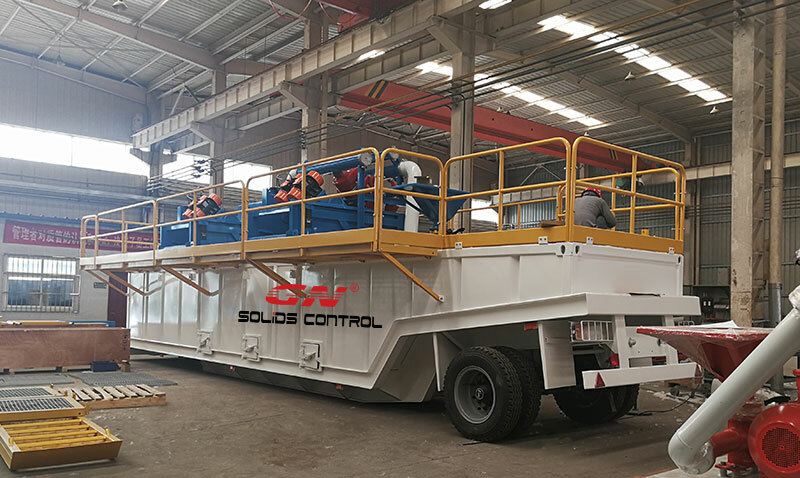 Recently GN solids control shipped one set of trailer mounted mud tank system to Africa for water well drilling, we also had sold such trailer mounted mud tank in Indonesia, which is one of our most important market. Before GN ever made trailer mounted mud tank in a different way, which is put the skid mounted mud tank onto a containerized trailer for convenient movement from one site to another. The mud tank and trailer is connected by special locks, you can remove the trailer once you need to put the mud tank on the skid. By this way, the production cost is very high, and the total height of the mud tank is very high, you have to remove the solids control equipments ( like shale shaker, mud cleaner) during transportation. The new design trailer mounted mud tank is with 4 tyres at the end of the trailer, each side with 2 tyres, the mud tank and trailer is welding together as an integral part. The stairs is installed on the trailer, the mud tank height is according to the land transportation rule in different countries. The shale shaker will not be removed during transportation, the mud cleaner could be removed if the total height over the road permit, for convenient transportation, it might not be removed and installed on the mud tank. 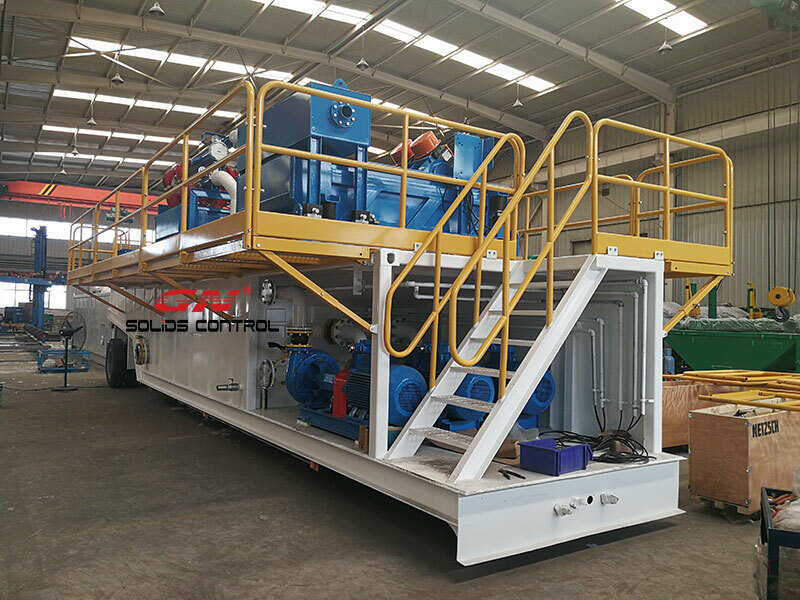 The trailer mounted mud tank will also include mud agitator, mud pipelines, valves, lighting system, electric control system, handrails, stairs, walkways, shale shaker,etc. 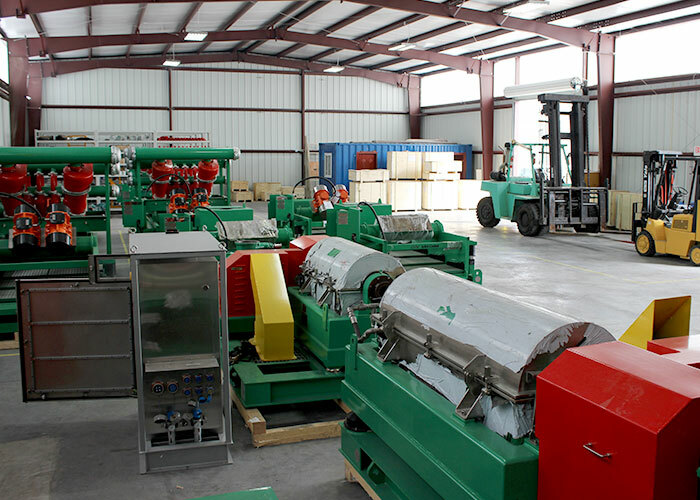 These equipments are the main solids control equipments in our products line, as a top manufacturer of solids control equipments and drilling waste management system in China, linear motion shale shaker, mud cleaner and decanter centrifuge are the best sold products. Some clients want to buy mud tanks locally to save delivery time and sea freight cost, and install GN equipments on top of the mud tank system. Others want to replace the old equipments on their old tanks. 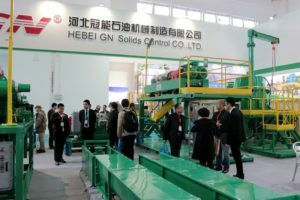 The client collect the information of the solids control equipments from several solids control equipments manufacturers in China and compare the technical offer and commercial offer, the client choose GN solids control only. 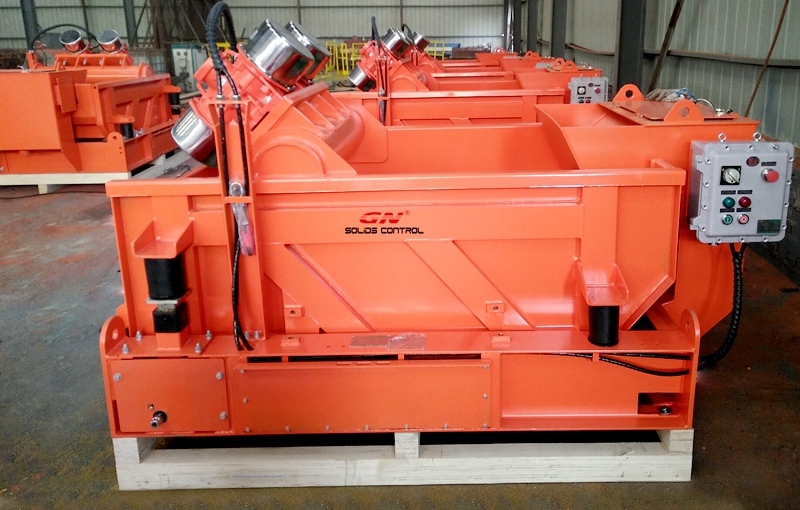 The decanter centrifuge can be used for both LGS and Barite recovery. 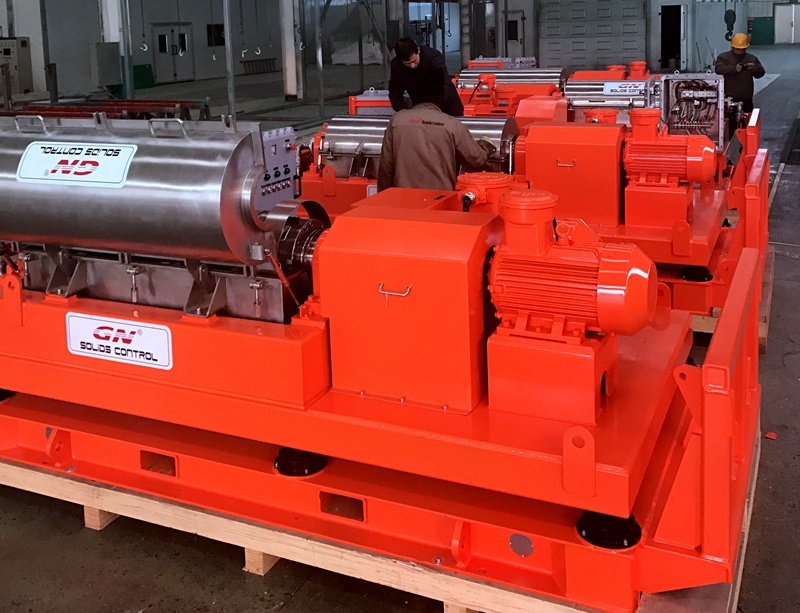 The 3200rpm pulley is installed on the centrifuge for low gravity solids, when the client want to use the centrifuge for barite recovery, they can replace the pulley to 2200rpm. We also provide the VFD control panel to adjust the frequency of the motor to change the rotation speed of the decanter centrifuge, so the client can use the centrifuge for low gravity solids, high gravity solids, barite recovery. 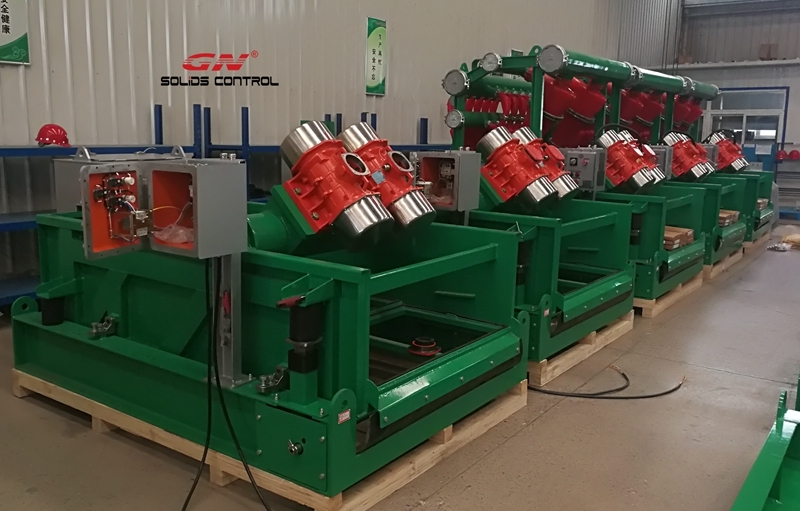 Recently GN solids control shipped 3 batch of solids control equipments to Russia for the service of 10 drilling rigs, including shale shaker, decanter centrifuge, centrifugal type vacuum degasser. 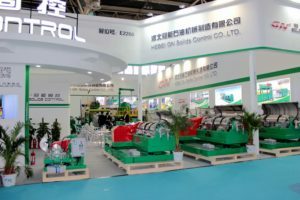 The client meet all the solids control equipments manufacturer in China and compared in all aspects, finally choose GN solids control as the only supplier. We always welcome our clients to check the factory and also check our competitor’s factory, and watching the real strength of each supplier, do not only “listening”. 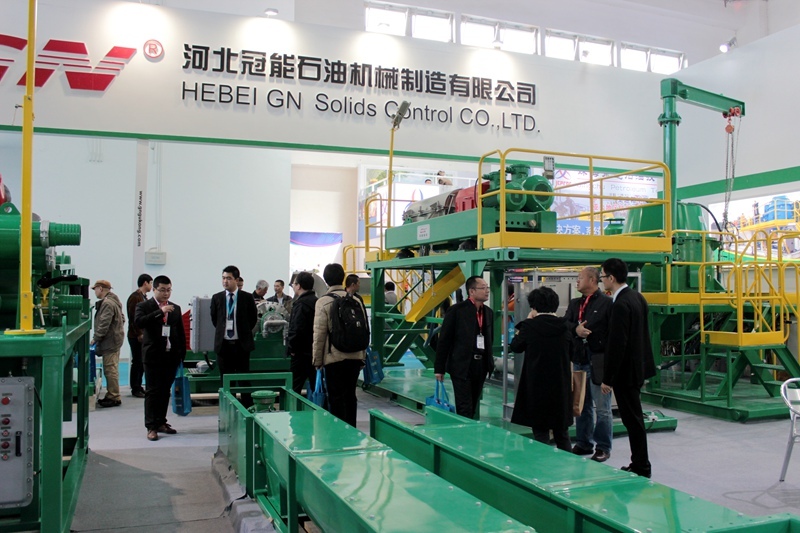 And all the clients who visited all the suppliers will finally choose GN solids control, they are smart business man after comparing the production machines, the workshop management, the efficiency of our works, the experience and design capability, the international reputation. GN is always confident with the comparison of these strength, not only price issue. The centrifugal type vacuum degasser is our new products, our traditional vacuum degasser is horizontal type with a horizontal vessel. 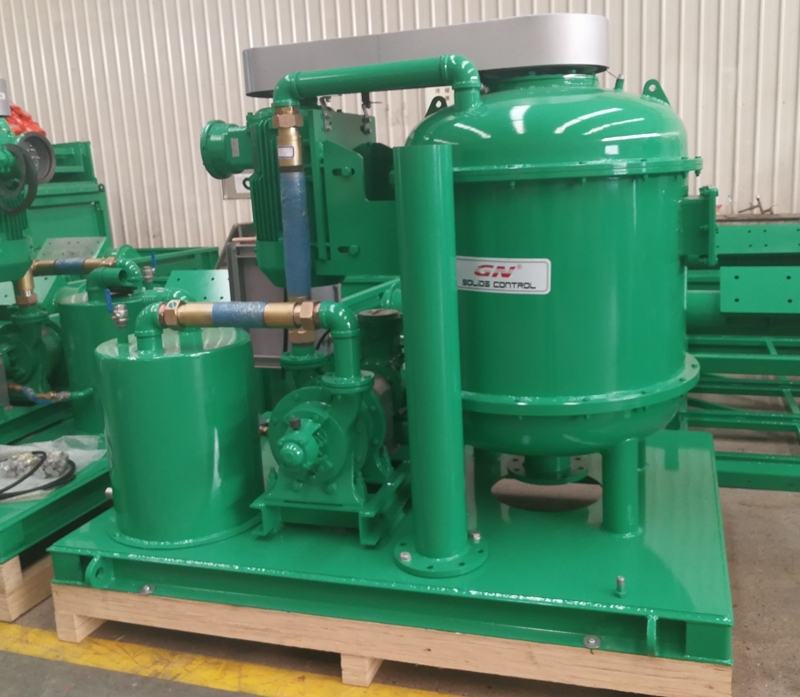 For 1000~1200 gpm treating capacity vacuum degasser, we have GNZCQ270A model, for 1500gpm treating capacity, we have GNZCQ360A. 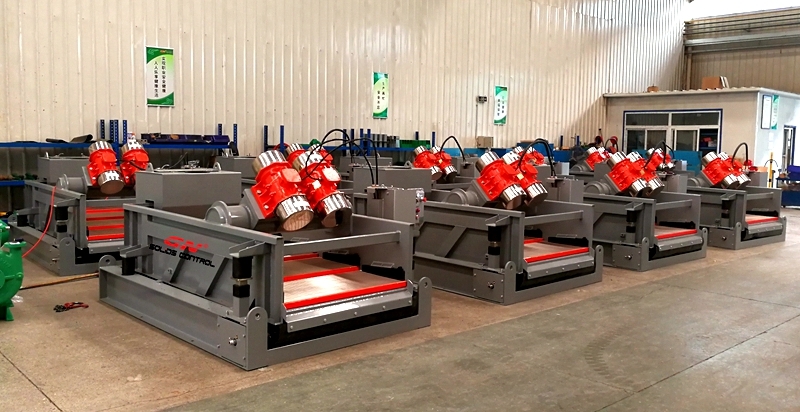 The shale shaker GNZS593E is developing from 4-panel shale shaker GNZS594E-HB, with screen dimension 585x1165mm, and total screen area is 2.73m2. Sometimes when the mud tank width has a limit to install the 4-panel shale shaker, we will install 3-panel shale shaker like GNZS703E and GNZS593E. Decanter centrifuge is one of our popular equipments, which is the best sold model GNLW363CG high speed decanter centrifuge, the max speed up to 3900rpm, the normal working speed is 3200rpm. The centrifuge can be used for high gravity drilling fluids, low gravity drilling fluids and barite recovery.